Buoyed by the sale of one of the first and few remaining Apple 1 computers for $650,000 I started thinking about the old machines that were lying in my mum’s garage and wondering if I was sitting on a fortune. Although I myself was never interested in computers my younger brother was a guru, going on to study computing at University, so we have a real vintage lot just awaiting discovery. 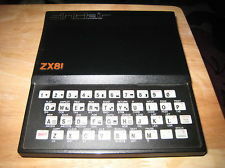 The first Hankins computer was a 1981 Sinclair ZX81. What a machine that was. It was manufactured by the famous watch maker Timex in Scotland, and really represents the movement from mechanical to digital technology. I remember recording programs onto a cassette recorder that were broadcast over the radio as a series of sounds similar to the noise a fax makes. Then you play them into the machine and bang you are off, you could use your 1kB of memory to do almost anything (or nothing). The keys were part of the machine, like an old cash register, and it is through these that my brother learned the skills of programming in Basic, although I never got to grips with it. Then he moved on to Extended Basic and machine code (whatever that is). Anyway it will not make me rich, they go from about $2 to $20 on eBay. But even 1 kB of memory was not enough for us so a couple of years later we (my parents) invested in what was in its day the height of technology, a TI99. This was altogether greatly improved, it had a cartridge system in the front so you could slide in games and use the cursors to maneuver through the asteroid fields. 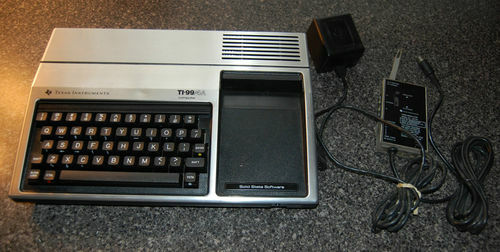 The TI99 was manufactured by calculator maker Texas Instruments and was the first computer with a 16 bit processor. Texas Instruments were big on voice synthesis and the big use of it for us was during the game Parsec. With 16kB of memory we had moved on considerably, and my brother made the most of learning Extended Basic using their wonderful program. Just look at the lines on this beast, a design classic it sold almost 3 million units and with 68 by 48 pixels in colour the picture was a joy to behold when plugged into our TV. It was high finance though for our family, it cost more than $500 US when newly released but as with all of these things the price fell over the following years to $150, and so the question arises again, am I rich today? The answer unfortunately is no, you can buy one on eBay for about $20. Could be a great investment though, they have one in a museum in Paris. Well a couple of years passed and my brother needed a serious computer to take to University. 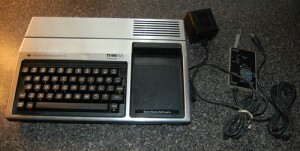 At great expense my parents went for the BBC Microcomputer built by Acorn. 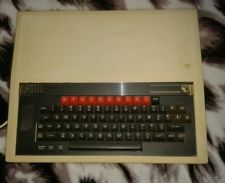 This was much more of an educational tool, and its release was followed by a BBC educational series that taught its user (my brother and unfortunately not me) to program, and it was the machine of choice for UK universities and schools. Our model B had 128 kB of memory, a giant leap that allowed graphics programing and increased complexity of use. It also had a floppy disc for ease of data transferral. It was a beast of a thing though as it sat in my brother’s bedroom, and it is the most expensive machine in the house to date. Oh how I could pay my mum back if it were now worth the same as the first Apple I thought, but once more eBay broke the spell. From $10 to $150 with all the extra hard and software, so sorry mum the Austin Martin will have to wait. After University (and post BBC) my brother went to work and we moved into company machinery, laptops, blueberry, blackberry, apples and other fruits of commerce, and I lost touch a bit, but I alone have owned 3 desktops and 3 laptops to date and it is all awaiting disposal, so there certainly isn’t much room in my mum’s garage today (certainly not enough for an Aston Martin anyway). How many human brains would it take to store the Internet? Last September I asked if the human brain were a hard drive how much data could it hold? I concluded that approximately 300 exabytes (or 300 million terabytes) of data can be stored in the memory of the average person. Interesting stuff right? 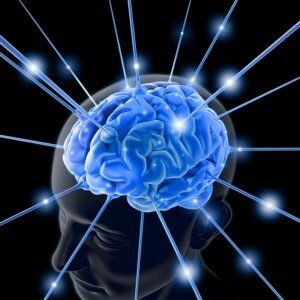 Now I know how much computer data the human brain can potentially hold, I want to know how many people’s brains would be needed to store the Internet. To do this I need to know how big the Internet is. That can’t be too hard to find out, right? It sounds like a simple question, but it’s almost like asking how big is the Universe! So in 2004, the Internet was estimated to be 5 exobytes (or 5,120,000,000,000,000,000 bytes). In early 2011, the journal Science calculated that the amount of data in the world in 2007 was equivalent to around 300 exabytes. That’s a lot of data, and most would have been stored in such a way that it was accessible via the Internet – whether publicly accessible or not. So in 2007, the average memory capacity of just one person, could have stored all the virtual data in the world. Technology has some catching up to do. Mother Nature is walking all over it! 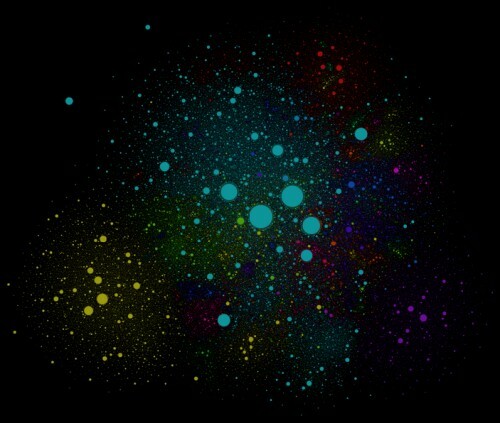 In 2013, the size of the Internet is unknown. Without mass global collaboration, I don’t think we will ever know how big it is. The problem is defining what is the Internet and what isn’t. Is a businesses intranet which is accessible from external locations (so an extranet) part of the Internet? Arguably yes, it is. 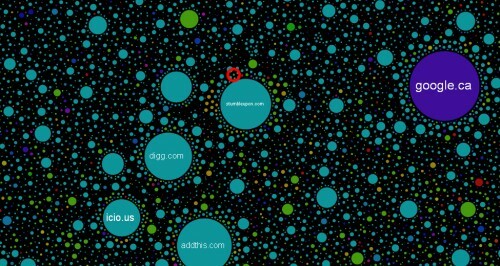 I could try and work out how many sites there are, and then times this by the average site size. However what’s the average size of a website? YouTube is petabytes in size, whilst my personal website is just kilobytes. How do you average that out? See the red circle? That is pointing at Technology Bloggers! Yes we are on the Internet map. The Internet is now too big to try and quantify, so I can’t determine it’s size. My best chance is a rough estimate. Ever wondered what a #map of the #internet would look like?internet-map.net/#11-126.551892…Scroll in and out to learn more. 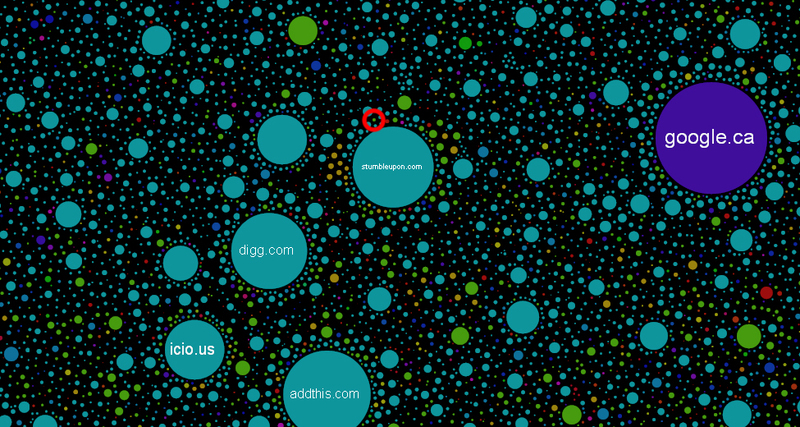 What is the size of the Internet in 2013? Or to put it another way, how many bytes is the Internet? Well, if in 2004 Google had indexed around 170 terabytes of an estimated 500 million terabyte net, then it had indexed around 0.00000034% of the web at that time. On Google’s how search works feature, the company boasts how their index is well over 100,000,000 gigabytes. That’s 100,000 terabytes or 100 petabytes. Assuming that Google is getting slightly better at finding and indexing things, and therefore has now indexed around 0.000001% of the web (meaning it’s indexed three times more of the web as a percentage than it had in 2004) then 0.000001% of the web would be 100 petabytes. 100 petabytes times 1,000,000 is equal to 100 zettabytes, meaning 1% of the net is equal to around 100 zettabytes. Times 100 zettabytes by 100 and you get 10 yottabytes, which is (by my calculations) equivalent to the size of the web. So the Internet is 10 yottabytes! Or 10,000,000,000,000 (ten thousand billion) terabytes. How Many People Would It Take Memorise The Internet? If the web is equivalent to 10 yottabytes (or 10,000,000,000,000,000,000,000,000 bytes) and the memory capacity of a person is 0.0003 yottabytes, (0.3 zettabytes) then currently, in 2013, it would take around 33,333 people to store the Internet – in their heads. The population of earth is currently 7.09 billion. So if there was a human Internet, whereby all people on earth were connected, how much data could we all hold? The calculation: 0.0003 yottabytes x 7,090,000,000 = 2,127,000 yottabytes. A yottabyte is currently the biggest officially recognised unit of data, however the next step (which isn’t currently recognised) is a brontobyte. So if mankind was to max-out its memory, we could store 2,127 brontobytes of data. I estimated the Internet would take up a tiny 0.00047% of humanities memory capacity. The conclusion of my post on how much data the human brain can hold was that we won’t ever be able to technically match the amazing feats that nature has achieved. Have I changed my mind? Not really, no. How to build a good gaming PC for under £1000? Gaming is a great hobby to have, but to buy all the latest releases, not to mention the latest console that comes equipped with crystal-clear graphics and interactive gameplay, it could cost a small fortune. 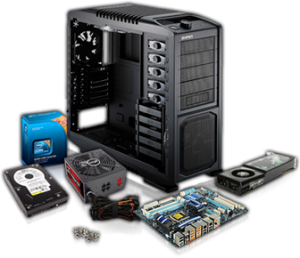 Many thrifty gamers looking to enjoy themselves without breaking the bank could do worse than build the ultimate gaming machine, especially if they have an affinity with playing on a PC. It’s possible to get everything you need for less than £1,000. All you need to do is know what components are necessary, how powerful you want your machine to be, a few basic computer building skills and the right places to go for your bargains. My personal favourites are the technology section on netvouchercodes.co.uk, the Amazon discount emails, or their computer component recommendations and of course eBay! It’s the most important part of any PC – without it, nothing else would function correctly. This motherboard from Asus is ideal as it has no bottlenecks, slots for two graphic cards, processor slot and has capacity for as much as 32GB of RAM. It’s also pretty cheap considering what it enables. Also from AMD, this six-core Bulldozer processor is great for processing large amounts of data at speed. Among its other vital stats include an 8MB cache and impressive power of 8.3 GHz per core for a relatively low price, and is ideal for multitasking when playing two or more games at once. I found this particular bargain from CCL through their online voucher page. 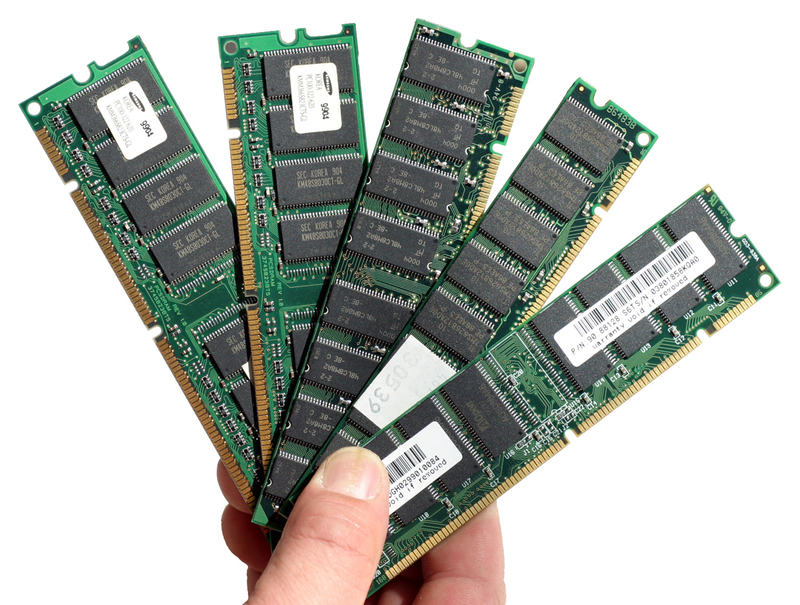 Combined, these products provide an impressive 16GB of RAM. This amount of memory is more than enough for even the most data-intensive games. Every PC needs a cooling system, and this PSU with inbuilt heatsinks is sufficient for an extremely powerful custom-built computer. It runs at 1333 MHz and has a capacity of 16GB, and controls your PC’s power output with minimum fuss. The AMD Radeon graphics processor is the most expensive part of your PC, but it’s also the most important for ensuring the games you want to play look as vivid and lifelike as possible. They have 3GB of GDDR5 memory, 800 MHz clock speed for quick gameplay and has room for a second card if necessary. A hard drive of some sort is something else you’ll need, and this 250GB drive is one of the best available for gaming PCs. It has a 6GB/s transfer rate and is ideal for games which use up a huge amount of data. All those components come to a grand total of around £930. 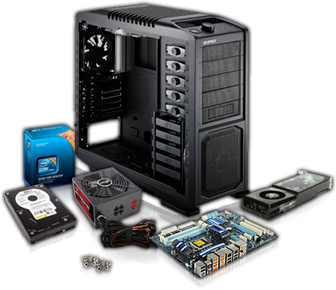 Once you have all that, you can spend the remainder on a case to keep everything in its right place. £70 is plenty of money to spend on a case, no matter how wacky and original you want it to look. All it involves is a little shopping around. On Monday a report was released in France that contained the suggestion that a tax should be levied on Internet devices in order to raise money to promote and protect French cultural production. For several years France has had a policy of taxing broadcasters and spending the money on supporting its own film and entertainment industries, but revenues are falling. The problem seems to be that many more people are accessing their entertainment via the Internet and therefore not contributing to its production cost. The Lescure report as it is known suggests a tax of between 1 and 4% on any Internet capable devices (smartphones, eBook readers and games consoles included), but as we might imagine many of the producers of these devices are not happy about the proposal. Money has to be raised to maintain the entertainment industries, but many of the companies that provide access to this entertainment are not based in France and do not contribute. They probably don’t want to either, and so we come across the same problem that I wrote about last week, collecting national taxes from international corporations based in another state is never easy, and borders are porous. 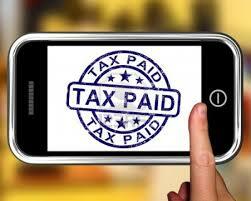 The proposed tax would replace one already in existence upon storage devices. Currently tax is levied on blank CD’s and memory sticks as well as computers with hard discs. The manufacturers complain that the price of the devices would rise leading to fewer sales, although the author of the report argues that such a small percentage increase would make little difference, and would not even effect the home job market because most of these devices are assembled overseas. A 1% tax would raise something of the order of 90 million Euro a year. The problem remains though. As our sources of entertainment move away from pay TV, publicity funded channels and national subscription systems such as the BBC, money is taken away from the producers and associations that represent and fund these industries. Some see the fact that Google and Apple amongst others are operating outside the tax system and are not contributing to the industries that they make their money from as unfair, and hope that this change in tax law will go some way to evening out the field. The Wall Street Journal goes into a little more depth on the matter in its free online edition. I wonder if France takes this step if others in the EU will follow. There are many different ways of making money through so called free downloads as we all know, but the money ends up in the pockets of the provider and not the producer and the industries involved are feeling the pinch. Maybe this needs to change.